The TD-1KPX Drum Kit is the latest addition to the portable V-Drums series. Despite its ultra-compact dimensions and low weight, the TD-1KPX has a robust stand, and V-Pads with Mesh Heads for snare and toms, which provide a natural rebound and a realistic playing experience. 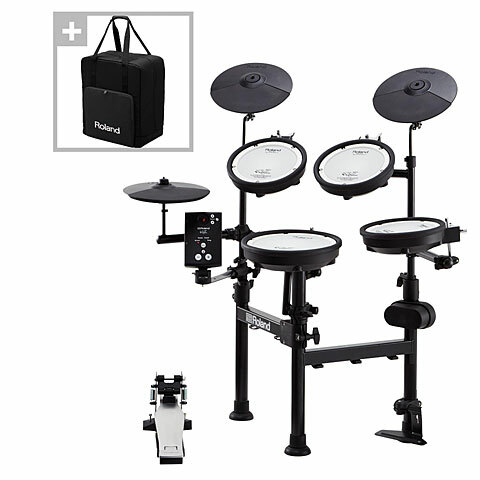 The innovative folding design allows the folding of the stand in a matter of seconds, without having to remove the pads and cymbals which allows easy transport or storage. 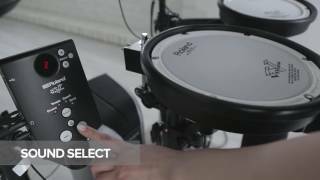 The preparation of the TD-1KPX is just as fast, so that the TD-1KPX is practical for home, rehearsals and performances. Choose your foot pedal or opt for a V-Drums kick pedal and go for it!